HCL Technologies, one of the biggest Indian companies has just launched its brand new tablet, the HCL ME Y2. This curiously named tablet is apparently a successor to the HCL ME Tablet X1 and features better hardware. The HCL ME Y2 is a 7 inch tablet much like the upcoming Google Nexus 7 and will be competition to it. It’s not looking to compete with the 10 inch tablets like the new iPad or the Samsung Galaxy Note 10.1. The HCL ME Y2 3G Tablet will come preloaded with a bunch of apps tailored for the Indian market but HCL has not yet announced whether the ME Y2 will be able to access the Google Play Store. This might be a deterrent to some, but if you’re not much of an app user and mainly want internet connectivity and entertainment, this could be the tab for you. 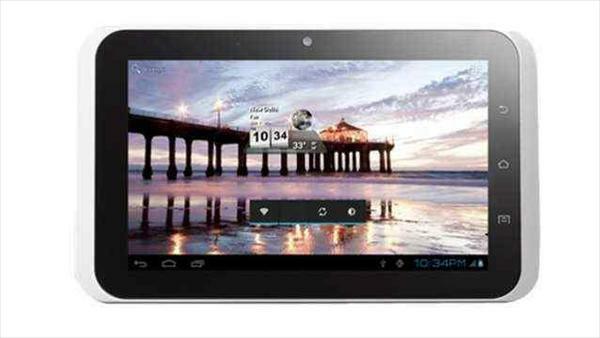 So what do you think, is the HCL ME Y2 3G Tablet any competition to the upcoming Google Nexus 7? Drop us a comment below! no blue tooth,GPS .Why Rs 15k? It does support Bluetooth and GPS.